First, who is on your team? Teams might consist of athletes, work partners, or family members. 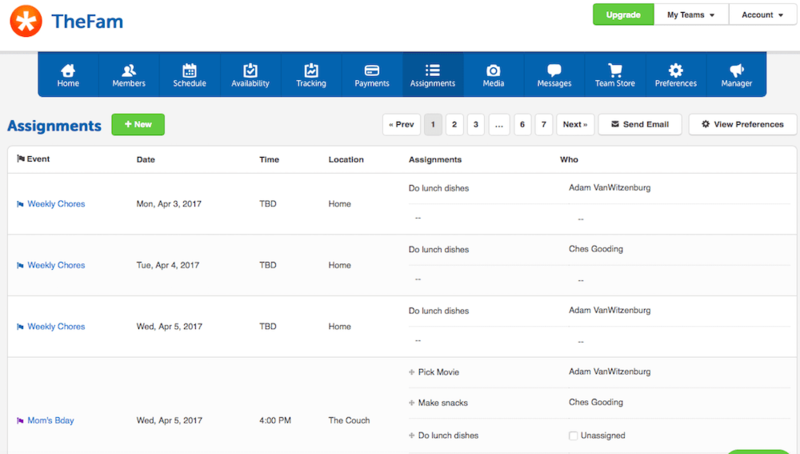 Whatever your situation, it’s easy to manage your team online with TeamSnap. The sanity-saving features of this site–and mobile app–have seemingly endless applications for team management. This post is sponsored by TeamSnap and brought to you by Shopshare. All thoughts and opinions are my own. Get a THREE MONTH free trial! I may not be a coach, but I try to run our little family like a team. We each support each other in different ways and are all working towards the same goals. We want to keep a clean house so we can have guests over whenever we want. We aim to get out of debt by the end of this year so we can focus more on saving for vacations and big toys. The kids are both shooting for straight A’s on their report cards. To accomplish all this, we all have to work together. Communication is everything no matter the size of your team. The larger it is, the more difficult it might be to relay messages accurately. However, with just the three of us, and my mom and her significant other on this team we have communication mishaps all the time. These misunderstandings end up costing a ton of time to repair. TeamSnap is every coaches dream tool. But I’m using it on a smaller scale and loving it just as much. Now that the kids are older and have their busy schedules, this app allows us to plan events, assign tasks (chores, in our case) and even share photos and video with each other. Because we have the app on our phones, it’s easy to access a visual of each person’s availability and required tasks. This sports team management app is proving to be an incredibly useful tool for much more than just sports. However, our cheer coach is going to literally flip when she starts using it this season. 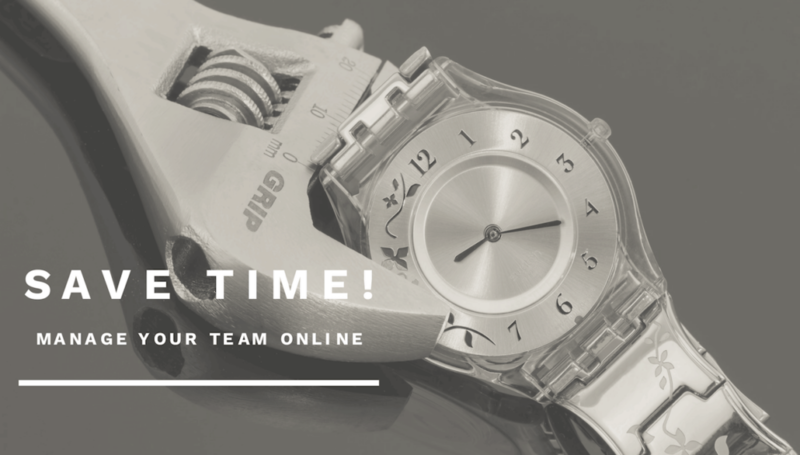 Have a team you’re struggling to manage or just want to fine-tune what you’re already doing to save some time and stress? Give TeamSnap a try free for 3 months! I’m willing to bet you’re going to love it. 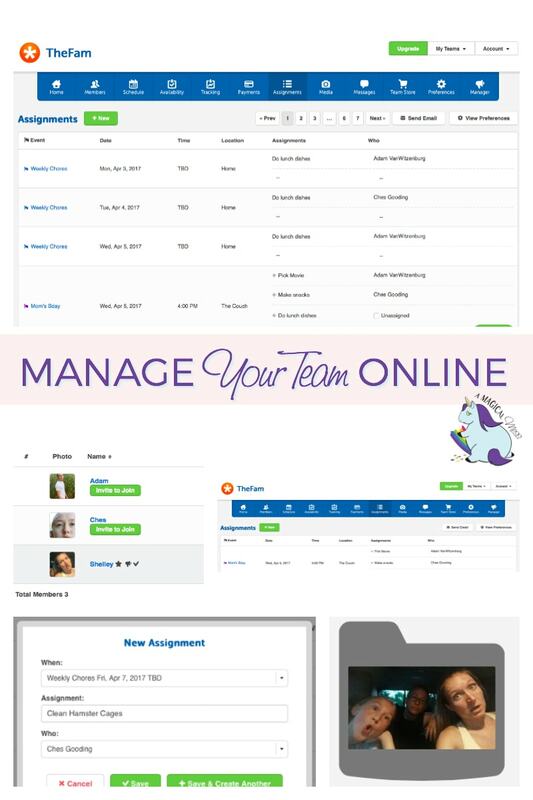 What TeamSnap features help you manage your team (or family) online the most? This is so awesome! As a full time blogger, wife, and mom of 3, I’m always looking for ways to streamline my life. I have to show this to my kids’ coaches. This is exactly what I’m looking for to get my life organized. This would help me with my blog my family life and give us more time together. I will definitely check this out. What a great app. I can imagine the headache of having to keep track of everything that is involved with coaching. This looks so cool. With 4 kids I feel like we need every tool to be organized we can get. Ah, this would certainly make things easier. It’s nice being able to make sure everyone is on the same page. This is mega awesome! I so could use this for my husband and I plus the kids. It would really help use manage projects. Great App! It could really get tough managing your life and family. Will surely give this app a try. Thank you for sharing and hope you could share more helpful tips like this. What a great app! I’m always looking for ways to get everything more organized and this looks perfect. I love this idea! My kids don’t have smart phones or devices to use them on this, but it still a great way to stay organized.